You already have visitors coming to your website. If you just knew who they were that would be a good lead, right? Well, now you can know. Visual Visitor features include Anonymous Visitor Identification and Website Visitor Tracking, which delivers realtime alerts, details on the companies visiting your site, and the ability to drill down to contact information. Imagine calling your prospect while they are sitting at his/her desk reading about your product or service. You will also be able to mark the lead and be immediately alerted when they come back to your site. This is a huge benefit for your sales team. Now they will have perfect timing… knowing that a prospect is currently on your website. The trial is free and all the leads you receive during the trial are free. Visual Visitor is very affordable and our service works with any website. 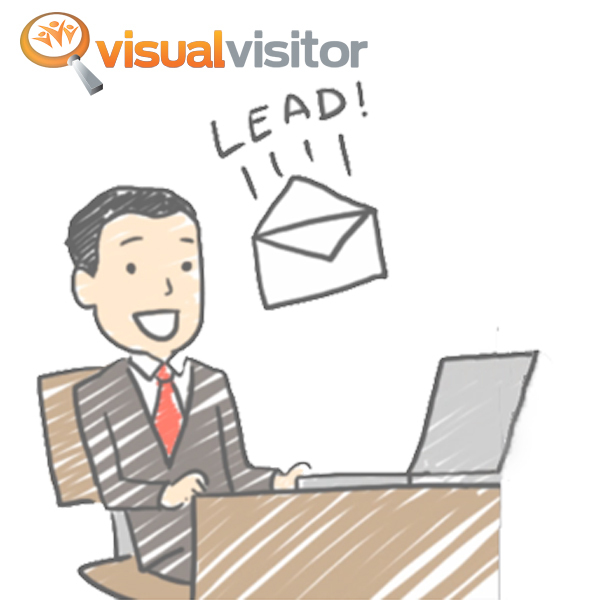 Visual Visitor helps you get a bigger bang out of your SEO or pay per click project. What are you waiting for? Sign up for free trial now. You have everything to gain and nothing to loose. The install to your website will take you or your webmaster only 5 minutes. And you will begin receiving leads within minutes of your successful install. Act now! – an email with detailed installation instructions. – how it works explanation. We identify the visitors to your website. We tell you what products or services of yours they sent the most time on. Heck, we even look up company information for you and give you the phone number of the company. The rest of the sales process is up to you.